Graeme Joffe: Rupert vs Zupta ace – who’s your money on? What makes a nation successful? 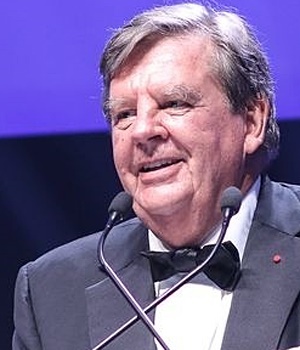 Johannesburg - Billionaire Johann Rupert has called on politicians to play the ball and not the man in his acceptance of the Sunday Times Top 100 Companies Lifetime Achievement Award. Rupert, in a speech delivered to the awards ceremony on Tuesday evening this week, moved to respond to politicians using his name. In 2014, Economic Freedom Fighters leader Julius Malema blamed his troubles with the taxman on Rupert. At the time, Malema also accused Rupert of controlling the South African Revenue Service (Sars) and ordering it to investigate him. Earlier this year, President Jacob Zuma’s son Edward Zuma opened a criminal case against Rupert, accusing the billionaire of using his financial clout to capture the state before and after 1994. But in his speech, Rupert - who is the chair of the world’s largest jewellery maker, Swiss-based Richemont - rubbished politicians' allegations against him. “Why attack people instead of debating the issue? Our issues are unemployment and a terrible educational system. It is a disaster,” said Rupert. "Unless we fix that - we have no hope,” added Rupert. Rupert also said that the private sector generates jobs and not government. “We really need to define the roles between business and government and the state. Because governments cannot create jobs,” said Rupert. "The state cannot [create jobs] - otherwise there would be no unemployment anywhere in the world. It's the private sector that's got to create the jobs and all we need is certainty, rule of law, transparency. "I have personally never done business with the state. Really, because I don't trust the state. So, no matter whom I could have captured,” he said. Rupert further called on greater transparency and said that "when there are tenders, they must be public tenders”. Rupert also jokingly said that Malema had made him relevant again. "I have to thank Mr Julius Malema because if it hadn't been for his narratives, I was in danger of becoming totally irrelevant. You guys have forgotten about us,” said Rupert. "And I haven't been given an award until Mr Malema arrived and he pointed out to me that I was running the ANC, the DA, Sars by the way - like hell Sars - they only give me trouble, especially recently by the way,” said Rupert. Rupert also quipped that he doesn’t live in Stellenbosch. Malema has previously accused Rupert of being part of the so-called Stellenbosch Mafia - a group that Malema has accused of controlling South Africa. "I don't know how I can be part of the Stellenbosch mafia. We live in Somerset West." Rupert, though, joked that “two can play the game”. "But I did send him [Malema] a text message through a friend that if he doesn't stop lying about me, I'm going to tell the world that I actually do give him money,” said Rupert. "All I have to say is I met you; I like you and I'm actually backing you. So, stop lying about me and I won't lie about our relationship,” Rupert added.